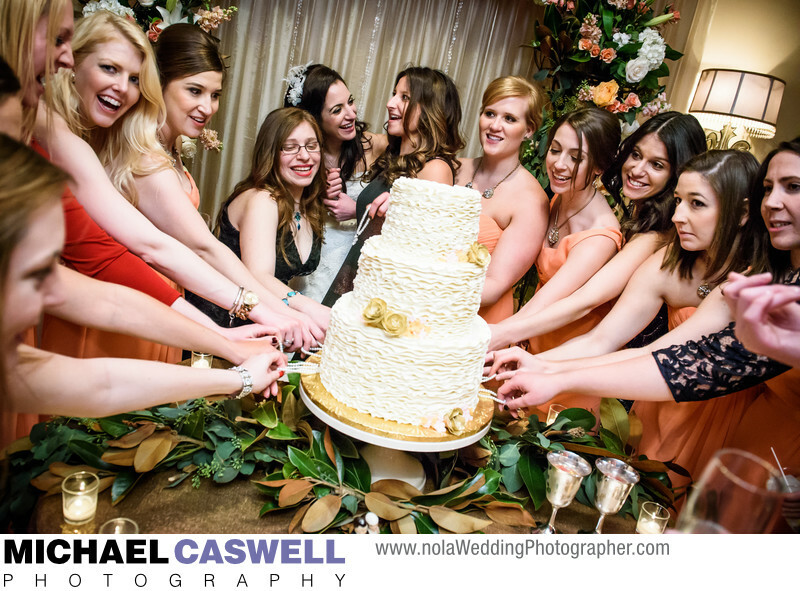 Cake pulls are another great southern tradition commonly seen during New Orleans weddings. Small charms are embedded in the cake and attached to ribbons, which each of the bridesmaids (and/or other ladies selected by the bride) take hold of and pull simultaneously, revealing the various charms. There are a wide variety of charms available, and each has a special meaning, being mostly positive predictions about the recipient's future. Examples include next to marry, wealth and prosperity, eternal beauty, and next to have a baby to name a few. This wedding took place at Southern Oaks Plantation and was coordinated by Down Annie Lane.